I feed because we have deep snow, wondering how place feed that can graze out most the winter. I see cake bin in a lot of country. some say that's all they supplement. others tell me they feed a little hay and cake later in winter when the grass just doesn't have the oomph....other said hay cubes over hay because less waste. but then there cost... be a learning curve to leave snow country..
Best to check out the local custom where you settle. We generally can graze most of the winter and use some lick tubs or other sources of protein. This winter we have more snow then the areas to the north of us. We have natural shelter and native grass, many areas aren't as blessed. Jody, I have seen cattle wintered on grass that do well and I have seen cattle wintered on grass that are thin to the point of even being 'poor.' There is a difference. It all depends on the owner of the cattle and how he supplements them. You can be a low-cost producer, but where people get into trouble is being a NO-COST producer. It just won't work. Some get away with it for awhile, until, like one place I know, they had 70% open cows. In some situations cows don't last in the herd very long. One just needs to know the whole story. A lot depends on when you calve. If you winter 'out' those producers usually calve later. We have a customer that is a great stockman. He feeds his own alfalfa hay to his cows. 10# every other day when he has grass to graze. He watches a lot of things. How the manure is stacking; if they are laying down around noon (shows they are getting enough to eat;) whether they are all grazing the same direction (shows they are competing for grass). He OBSERVES his cattle. He does feed them hay when they tell him he needs to. This producer gets 85% bred in the first heat cycle; end of March calves weigh 630# first week of October. He buys no supplement except mineral. In this cold weather he has been feeding 35# grass hay. He doesn't go by the calendar, he goes by what the cows dictate. He said if he were to feed cake, he would feed 5# of wheat midd pellets. He makes sure the cows have all the water they need. Water is so important. I don't understand how people like Kit Pharo say that cattle can winter on hay. I wonder how long those cows stay in the herd. Water is the first required nutrient. Then we know of a fellow that is strictly grass and cake; his cows always look good. He has great winter protection. So it can be done, but like this winter, it can't be done very cheap. Lots of outfits winter on the range in our country. And like what Faster Horses said, some cattle look plumb bloomy and others as thin as a rail. The folks that I know and have worked for all used a supplement as called for depending on the severity of the winter, how range looked and what the cows told them they needed. One ranch feeds hay every other day or third day. 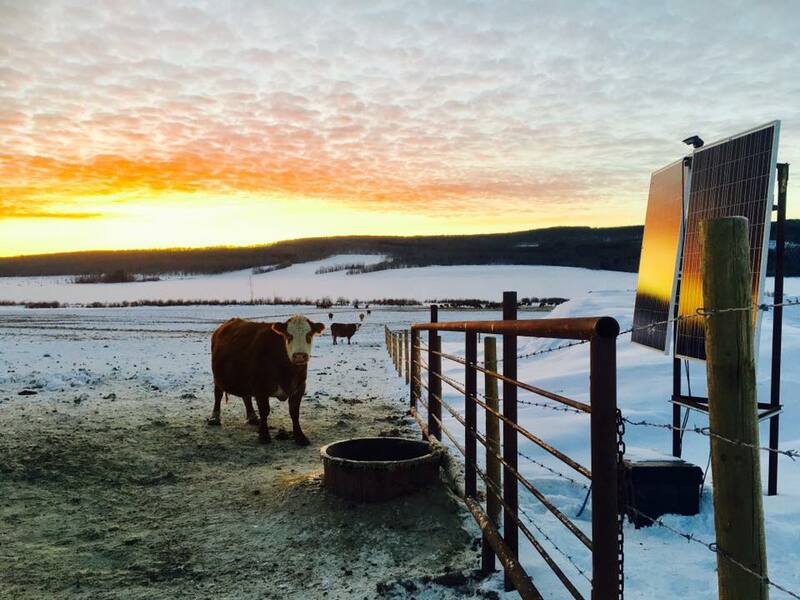 The cows range out on their winter permit but come back onto the home ranch to water. A lot of guys use tubs of protein/mineral as needed. Some have excellent range with high protein grasses and white sage (Grandpa called it "winter fat") and hardly use protein tubs and just feed loose mineral. And some outfits starve the profit right out of their cowherd. To me, the severity of the season and the quality of the range are to biggest factors to a successful winter range and healthy cowherd. A lot of us roll out hay all winter and wish we had a good winter range. But they come up for sale pretty rarely, if ever around here. Faster horses wrote: Water is so important. I don't understand how people like Kit Pharo say that cattle can winter on hay. I wonder how long those cows stay in the herd. Water is the first required nutrient. Can you explain that? For some reason these lines don't make sense to me this morning. Typo. Brain-O. Here is what I meant to say. "I don't understand how people like Kit Pharo say that cattle can winter on snow." Glad you caught that. It didn't make any sense when I typed 'hay'. We lived on the Powder River in Wyoming for a couple of years. Grass and cake. Poor water sources. The son of the owner told us to watch the tails. When the tails fan out, the cattle aren't doing good. What we noticed was when the tails fanned out (the hair on the tail looks as if it has a part and the hair grows away both directions) those cattle weren't getting enough water. Their hair coat was very rough. As I mentioned, I have seen cattle that graze out, supplemented with cake that look great. Again, it depends on many factors. I see, that makes more sense written that way. With regards to water, snow is a fine substitute for water as long as they have access to loose snow. We always made sure the replacements were watered and had the best of hay because we wanted to be sure to give them every chance to grow out and mature in time for breeding season. We have everything on water this winter for the first time ever, last winter was scary with the weather we had as didn't snow until after freeze up and then it would thaw then freeze all winter making snow hard so I put in a solar trough which I rather like, and the cow seem to as well. Snow here, so many times does not contain much water. I think your snow is different than ours. Ours can be like sand. I am having to water the bulls ( I'm keeping a couple plus mine ) for a few days as the "Ritchie" fountain I put in back in 1983 froze up Wednesday and I am not going to tear into it until the weather gets a little warmer - - - I have a hydrant and about a 30 gallon tank that I can fill a couple of times a day till we get a break - - - looks like next week will be in the low 40sF and I will check it out then. I am very pleased that I put in these heaters in 1983 and this is the first heater I have had to replace - - - I did change them all out to the newer style floats and I replaced the rubber seals at the same time. I did add 3" of extra styrofoam insulation to the inside of all of them so they have a total of 4" of insulation and as such the heaters probably don't run much and the other 2 are still working! This trough I put in requires no heat and has not frozen at temps down to -35 so far. Pretty happy with it to this point. George wrote: How does it work? The trough you see is 36" in diameter double walled. It is sitting on a 36" pipe 20' in the ground. I have a 2" water line close to the bottom of my dugout that connects to the 36" pipe fairly close to the bottom. This allows the water level in the dugout to equalize in the 36" pipe, about 5' below ground level right now. I have a bilge pump down hole. When the cows approach the trough the motion sensor you see above the panels kicks the pump on and the water comes up in the center of the bowl. When the cows step away the water drains back down through the pump. If the water level gets too high it goes out through the overflow holes around the perimeter and runs down in the void created by the double wall and drops back into the well.